On a quest for quality? Delivering with Scrum but having a challenge of finding a competent/available CSPO? We can help. We have competence, experience and quite often, we know how. Just ask. 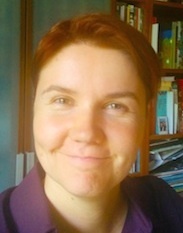 Lepounit was founded by Anu Leponiemi in 2007, after 9 years of experience on the field of software design. 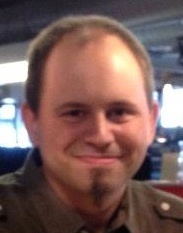 In 2013, Kimmo Kyyrö jumped on board to back up with programming activities. In addition, Lepounit constantly co-operates with a bunch of friendly professionals to complete projects together. Anu is an end-user oriented software design professional with a sharp eye for usability. Technically skilful, fan of common sense. 16 years of hard-boiled experience on various projects, customers & technologies. See CV for further information. Anu holds a degree of Master of Science majoring in Computer Science (University of Helsinki). Kimmo joined Lepounit at summer 2013 to back up the growing need for programming force. Kimmo's skills include C# & VB.NET, NHibernate, SQL Server, Unity programming and LAMP technologies (PHP, mySQL, Apache and basic Linux administration). Kimmo is planning on completing his studies in Metropolia Helsinki in 2016.